Is this stuff true and is it good or bad? Discuss anything bad about astral projection as you've learned it and compare what you've learned to what I explain below. You cant help but be against them because astral projectors are conspiring against persons and nations. They are our natural born foes. 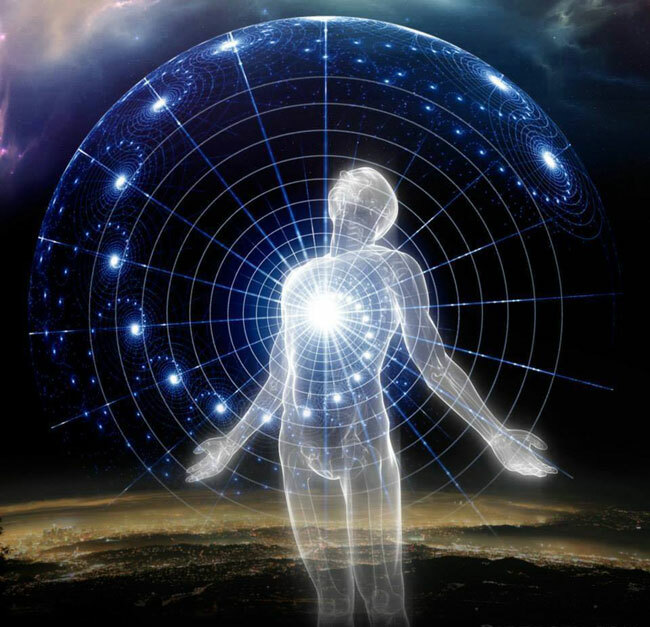 The astral projectors I'm talking about are the ones that are spending life in the electromagnetic field where it is always present as them (which is also the reason why they can do projections as they wish at will--not accidently). When you read this you might come to find out that you've been a victim of astral projectors. An astral projector is someone with limited authority/control over the electromagnetic field and space related anti-gravity inside and outside their own human body (aswell as inside another person's body where they can manipulate/alter the mind's electromagnetic related part which effects the person's senses. Yes, there is a slight form of mind contol involved when they are dealing with another's mind.) Their control over another person's mind is greater when the person is in their sleep state (somewhat unconscious state). The astral body of the humans that astral project doesn't sleep, by the way. They can manipulate the field so their astral (electromagnetic) body can have sight, hear, transmit sound (usually in the form of a voice), and feel outside of their own human body. The astral body is as an extension of their very mind. Astral projectors can feel what you're feeling if they choose to...from inner emotional feelings to physical pain sensations anywhere in/on the body all from what your very mind senses of its body. They can sense your physical postition too with the field they can project. Some ppl in my family are astral projectors. And so I've learned so from their confessions and admission of guilt corresponding to some of my experiences induced by what turned out as being them. An old metaphor for an astral projector and their astral projections can be the devil and his angels. Depends on how you view things in an old sense. All dreams are infact induced by astral projectors. That's correct. As long as you are having dreams you are being effected by astral projectors watching. They can see what you only try to visualize in your imagination/mind. And they can take that scoop of informative knowledge and relay it back in a recreation of their own to you in a dream if they so choose to. You must face the facts, they spy on ppl and are a threat to any nation's national security. But one thing they can not do is hear your thoughts. When you are asleep they can make you see what their astral body sees if they want you to. Some ppl mistake this for an OBE. But actual astral projectors can see their own human body from above. So these kinds of OBEs are infact intentional and can be self inflicted/induced. It is the astral projectors, not us who are not, that turn into ghosts after human death. They upgrade when they become ghosts because what comes out of their dead human body is stronger, particularly in the anti-gravity array. They can create pressure that can sear (as it felt like to me before with my encounter with a ghost) painfully into the brain or vain of, say, some other person. With anti-gravity being an actual part of them, they as ghosts can postition themselves so they dont just float off. In ghost form they are somehow seeable or sensed by other astral projectors astral projecting in the very area the ghost is dwelling from what I noticed. While they are a ghost, for a while, something happens to where they are taken away. Where did they go? What do astral projectors themselves know to this end of abomination? Or do they themselves have any knowledge or belief on whether they exist onward or not as ghosts? Any astral projectors viewing this want to answer that for the other readers? Astral projectors may have saught to keep any bit of info on you they've seen from the astral plane. Such as passwords, SS#, etc of other personal information. But know this, that if the goodman of the house had known in what watch the thief would come, he would have watched, and would have suffered his house to be broken through/up. Astral projections can be harmful by intent to persons being projected against in many ways. True to an extent we cant help what happens when asleep. One thing for sure is that it is not our own created dream if we're not astral projectors. But the astral projectors can allow us some control in thier induced lucid dream because they can sense our demeanor and our mind's sense of intended direction. Have you noticed that kind of dream? The only dimension the conscious astral body can travel through is the electromagnetic field. 1. They know when you're alseep or when you're not. 2. They know when you're home or when you're not in it. 4. They can cause your head to hurt with electromagnetic waves. 5. They can shock an eye of your's to irratate it badly. 6. They can cause you to hear voices if they choose to. Be warned! 7. They can play as the voice of anyone (which you might believe it to be God, an angel, a ghost, someone you know who is still alive, etc). 9. They can cause sleep paralysis to where they get you to see things they created positioned with actual things surrounding. 10. They can burn you slightly. 11. They can make the dream they induce very feelable. Pay attention! ^^^I tell this info based on what I experienced without drugs or mental illness. So accept this as truth, or else, be a blind victim as long as you live. Stop pretending you cant see truth. They are your foes. And they could be any person you dont truely know that you meet in person or over the phone. The electromagnetic world is their's for now. Watch your front and back or be a victim of theft and/or torture. All truths are half truths, or so I've been told. The answer to all paradoxes shows this: "Reality contains logic therefore logic cannot contain reality." The paradox here is "how can one know this is true?". If the answer to one paradox is another then the question is the answer. Most people that AP have no bad intentions. Very few people have bad intentions. And those that do usually end up in the lower astral plane and not the "etheric plane". Also I heard that if you do bad things in AP, karma DOES come back very quickly to bite you. They're on to us. Now how are we suppose to terrorize people in their sleep? In AP, karma manifests it's self very quickly. Ha ha ha ha ha ha ha ha ha ha ha ha ha ha ha ha ha ha ha ha ha ha ha ha ha ha ha ha ha ha ha! I'd refute it point by point if it weren't so....so....stup......silly.... Ha ha ha ha haha haha haha ha! I didn't have an OBE yet ( but one night ago I actually felt my foot coming out! ... this experience frightened me somewhat because it was so sudden and then it was over again xP), but anyways, I honestly doubt that anyone does anything bad and I also doubt APers can harm other people. I believe it's more like bein a travel in the physical word with the difference that astral projecting is for free and traveling to new planes doesn't take hours. I suspect the person who wrote the original has been hitting the "magnetic waves" a bit too often. You can find someone who's against just about anything though. I mean, look at the Flat Earth Society. I mean, look at the Flat Earth Society. On their website they say that they're just kidding, but I'm rather sure that there are people who really do believe it... their ignorance is a crime. Been projecting 20+ years straight and honestly, it all comes down to how one approaches the OBE. Matter fact anything in life... good or bad intent. If you wish to learn, teach and help others with postive effect then you are on the right path.. But if it is to hurt, harm, gain some old ancient hidden powers and use it against others.. - the answer is pretty straight forward. ROFL! If that post isnt the most convoluted biggest piece of disinfo crap I have ever seen in my life I dont know what is.. Someone is substantially deluded and probably thinks the yellows are out to get them! Sometimes it feels like these people that drum up these idiotic posts have nothing better to do with their free time. The stupidity of some people is utterly astounding. Funny stuff lol oh nooooo!!!! get my foil hat hurry!! sh*t they're already in my head!!! get them out! Ron Howard's controlling my mind! Wadatah my damies, hit you on the padystie. Thanks for posting that. I needed a good laugh. I saw someone viewing this thread here earlier today and thought it would give you guys/gals here a good, much needed laugh! Unfortunately the link that the Op supplied is no longer in service. But you can read in his opening some of the things that this website had to say about Astral Projectors. To the list at the bottom of the comment in "Other facts to know about to what their astral projections as them can do:" portion, you could probably add these "abilities" as well. They seem like the only things he left off his list, lol. Anyways, like I said, good for a laugh! A sad fact may be that you (Lumaza) and I think too much alike. I clicked on your thread, then without reading your post, referred to the OP. It may have been a subliminal idea that the OP was unaware of. More NP humor??? Either way, we are headed for Christmas. It's amazing to see the way that "some" people think of Astral Projection. I have heard many times on Radio Talk shows a guest saying that Astral Projection is "demonic" and is the "Devil's" workings. I just slap my forehead in awe when I hear such foolishness! The worst part of it is, it being a live Radio Talk show means that thousands. sometimes even more, will be hearing that kind of foolishness as well. OMG this is so funnnnny!!!! Come on Stillwater, you know you prefer a good tinkle, hahahahahaha. I'm gonna go back to my little cave now and pretend there really are no such people that believe such as that stuff. "1. They know when you're alseep or when you're not." "Some ppl in my family are astral projectors." Discussion in 'Conspiracy' started by Sign Related, Sep 27, 2007. I'm glad you guys found it entertaining. But yes, it is "sad" as well. Fear of the unknown will do that to people! Thats fear based nonsense and if you intend to explore the ap phenomenon you must eliminate all fear. AP/lucid dreaming is a natural human ability that we all have access to. It is up to the individual if they want to explore to do so or not. People have made alot of money by the use of fear through out history but in truth there is nothing ever to fear because you are the captain of your own ship.